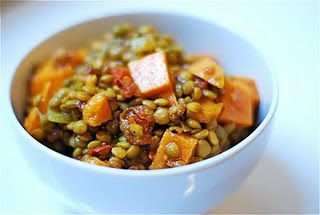 Enjoy your own personal "Laurel Canyon Moment" with my version of Lentil and Sweet Potato Stew...a la Crock Pot, of course! Rinse and drain the brown lentils. Add vegetable stock and all ingredients to a cold crockpot, cover and cook on low for eight hours.